Learn more about workers’ compensation insurance for landscaping classification system that is used to rate insurance premiums for groups of employees. 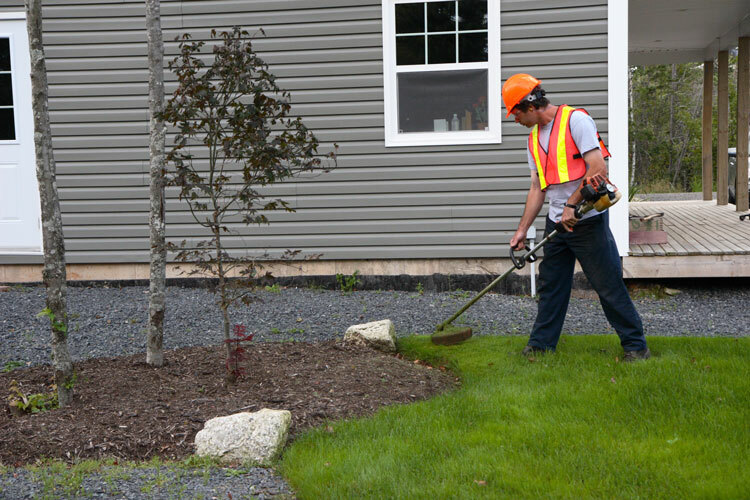 As a landscaping contractor or lawn care business owner, you need to ensure that you use correct employee classification to avoid paying higher premiums or having a larger workers’ compensation audit balance or a credit. This class code applies to employees primarily engaged landscaping activities that include planning, clearing, laying sod, seeding, grading, and planting. Also classified under this code are general gardening activities such as planting flowers, shrubs, and trees. This class code applies to employees that perform maintenance of lawns, gardens, and grounds. Such maintenance may involve lawn mowing, trimming of shrubs or trees, raking, thatching, and application of liquid or granular fertilizer. The rates for each class code vary with each state. As a business owner, you should distinguish between the two class codes so that you know which of the class codes to use on your workers’ compensation insurance policy. Brookhurst Insurance provides you with target workers’ compensation insurance coverage for landscaping class code 0042 and 9102 to help protect your lawn care and landscaping business. We work around the clock to review your current workers’ comp class codes so as to ensure we get your employee in the correct class codes and policy. If you have issues with your employee classification, you can appeal to NCCI for a proper classification assignment. We can do this on your behalf by submitting all job duties to NCCI so that an auditor can come to your facility for inspection and ruling. This helps to ensure your employees are properly classified according to the scope of work performed as well as reducing your premium and rates. Contact us to get a free, no obligation quote for a Workers Compensation Insurance for Landscaping & Lawn Care today. This entry was posted in Brookhurst Insurance, Worker's Compensation Insurance and tagged class code 0042, landscapers insurance, landscaping insurance. Bookmark the permalink.